Procom A/S is one of the leading suppliers within antennas, filters and combiner systems for wireless 2-way radio communication for professional users. Procom is a part of Amphenol Corporation - one of the largest manufacturers of interconnect products in the world with over 39,000 employees and $3,94 billion in revenues. 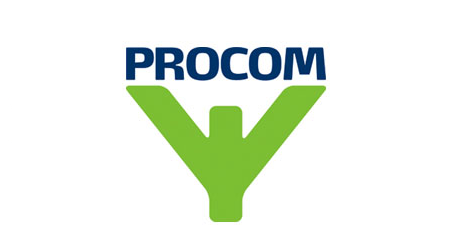 The Procom products are characterised by having a large degree of hand-made components. For many years our solutions have been used by most of first responders in Europe (police, ambulance, firefighters), Olympic games, freight ships and Redbull Formula-1 race cars. When jumping to Earth from space in 2012 Felix Baumbgartner and his team were also using Procom made radio communication solution. Since we are producing a large number of customized antennas, we face inefficiency in assembling process, especially under filters production. At the moment our customers can choose from 6 types of filters where each of them can have 20-30 different variations based on frequency range, size of the coils and length of the tubes. After we receive a customized order, the filters are being assembled completely manually by our employees, which takes time and requires human resources. Therefore, we would like you to help us find a better and more automated way how to assemble filters and improve efficiency. It is best to imagine that you are undertaking head of manufacturing role at Procom and your task is to find the most optimal filters manufacturing process keeping in mind two main factors: improving efficiency (time savings & automation) vs cost requirements for improvements. As of now, filters are not designed for fully automatic assembly line, so your solution will likely to be semi-automatic – machine/human assembly line. Changing product design in a significant way is out of scope for this project. To support you with this project, you will have an access to relevant information about our product specifications and assembling processes + you can interview our engineers and blue collar workers. You will also be allowed to use our facilities in Frederikssund. For this project we seek a student or a group of Master Thesis students with relevant background in Mechanical Engineering, Engineering Management, Robotics, Industrial Automation or other. We expect you to be proactive and curious in order to succeed in this project. Any previous mechanical engineering experience and Danish language knowledge is a huge advantage.